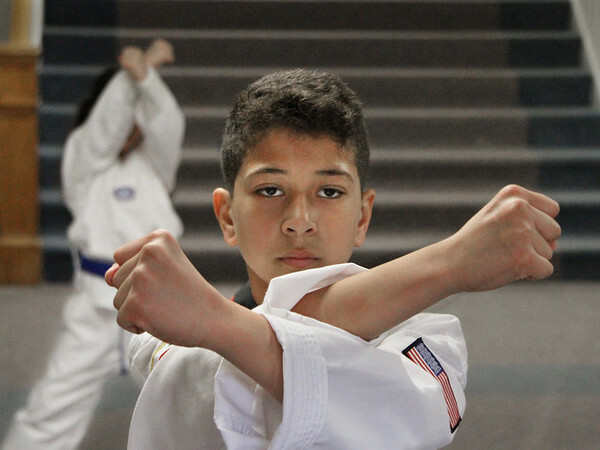 Twelve-year-old Ryan DeSouza of Gloucester works out at Demetri's Taekwondo Academy in Gloucester. A sixth grader at O'Maley Middle School, Ryan recently won two first place titles at the New England Masters championship in Canton, adding to a growing list of medals and trophies. He received a sad setback last week when his coach, Phil Demitri, died, but he continues to practice under the leadership of Demitri's assistant, Brie-ann Martell.